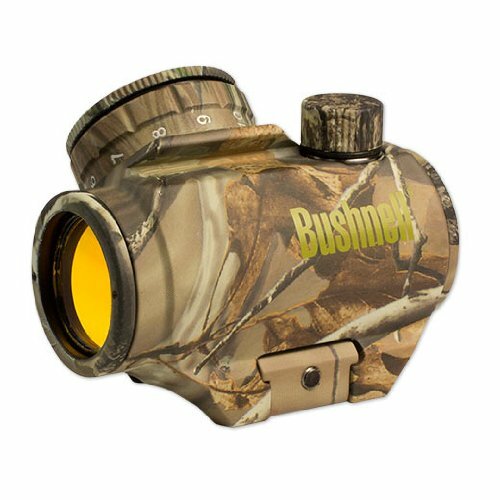 There's nothing like a red dot for fast target acquisition and accuracy in dim conditions, and no one makes red dots like Bushnell. 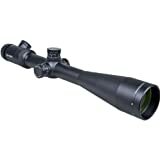 The Trophy TRS-25 Camo 1x 25mm is a reliable, 3 M.O.A. red-dot sight with unlimited eye relief for handguns and shotguns with integral mount for Weaver-style rail. Engineered with Amber-Bright optics that quickly help you distinguish between a brown tree and a brown critter, the Trophy® riflescopes have been heralded by hunters as the ideal scope for the autumn deer woods. The sight comes housed in a Realtree APG camo-clad package that’s tough enough to go anywhere, and features the versatility of 11 brightness settings and a wide field of view. To conserve battery life, it automatically adjusts to available lighting conditions and powers down when the protective storage cover is attached. With multi-coated optics for increased brightness in low-light conditions, the avid inner hunter in you will be most satisfied. No question about it, they're designed to excel during the day's most important times.